Stephanie Meyer (note the "A" in the first name) who edited the Teen Ink series is NOT the same as Stephenie Meyer (note the lack of "A"s in the name) who wrote the Twilight series - and whose story "Hell on Earth" appeared in Prom Nights from Hell. 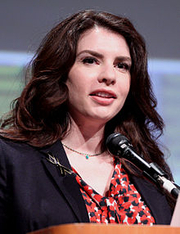 Stephenie Meyer was born in Hartford, Connecticut as the second of six children to Stephen and Candy Morgan. She was raised in Phoenix, Arizona, with five siblings: Seth, Emily, Jacob, Paul, and Heidi. Meyer attended Chaparral High School in Scottsdale, Arizona, where her former English teacher remembered her as "bright but not overly so." She attended Brigham Young University in Provo, Utah, where she received a BA in English in 1997. Meyer met her husband, Christian, when she was four years old in Arizona, and married him in 1994 when they were both 20. Together they have three sons. Christian Meyer, formerly an auditor, has now retired to take care of the children. Meyer is a member of The Church of Jesus Christ of Latter-day Saints; she has stated that she is strait-laced about her beliefs and does not drink alcohol or smoke. Meyer had no experience as a writer of any kind and had never even written a short story before Twilight. She had considered going to law school because she felt she had no chance of becoming a writer; she later noted that the birth of her oldest son Gabe changed her mind, saying, "Once I had Gabe, I just wanted to be his mom." Before becoming an author, Meyer's only professional work was as a receptionist in a property company. Stephanie Meyer is currently considered a "single author." If one or more works are by a distinct, homonymous authors, go ahead and split the author. Stephanie Meyer is composed of 3 names. You can examine and separate out names.